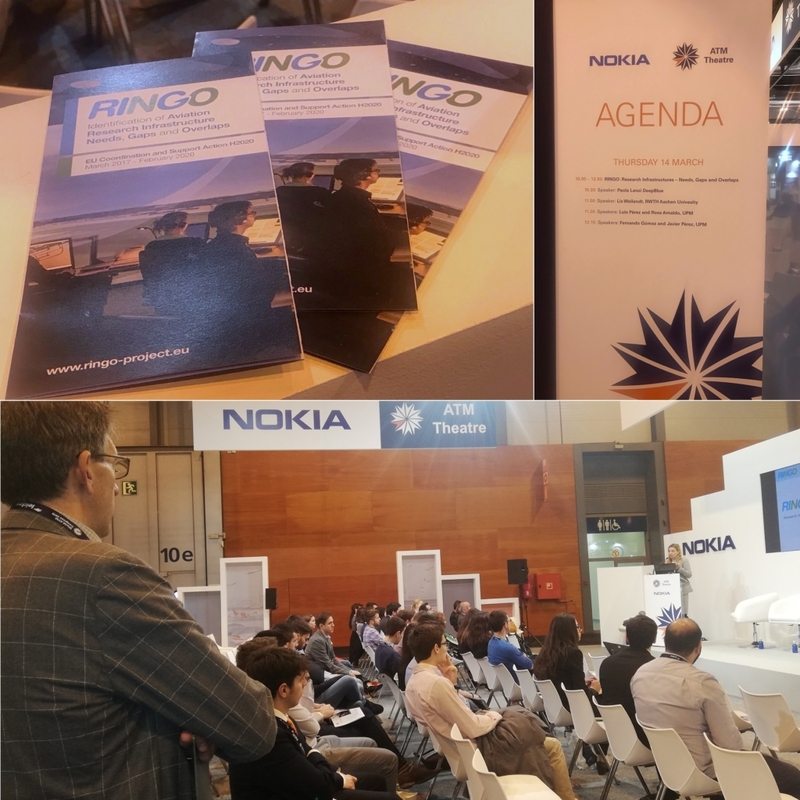 Interesting inputs and discussions during the RINGO dissemination and educational event organised by Universidad Politécnica de Madrid (UPM) at the World ATM Congress on the 14th of March 2019. The large audience attending the event was first of all introduced to the topics of RINGO and to its objectives and preliminary results by Luis Pérez (UPM), Paola Lanzi (DeepBlue) and Lis Weilandt (RWTH Aachen University) introduced the topics of RINGO, and its objectives and preliminary results. 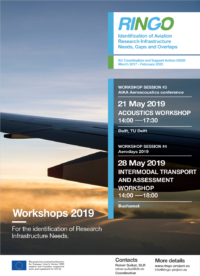 Then, Rosa Arnaldo and Fernando Gómez (UPM) involved the attendees in the discussion about the needs of research infrastructures for two specific thematic fields, particularly close to the interest of people attending the WAC, namely ATM and drones. Thanks to the different competencies and experiences of the participants, the output of the discussion was very interesting and fruitful for the project. Many thanks to all the participants and to UPM for organising. 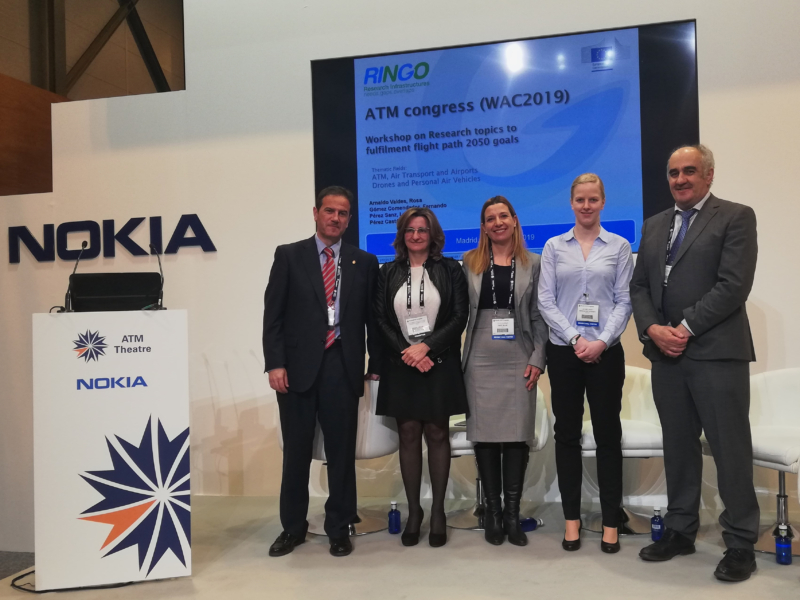 The World ATM Congress is the world’s largest international air traffic management (ATM) exhibition, operated by the Civil Air Navigation Services Organisation (CANSO) in partnership with the Air Traffic Control Association (ATCA). The Congress brings together the world’s leading product developers, experts, stakeholders, and air navigation service providers.